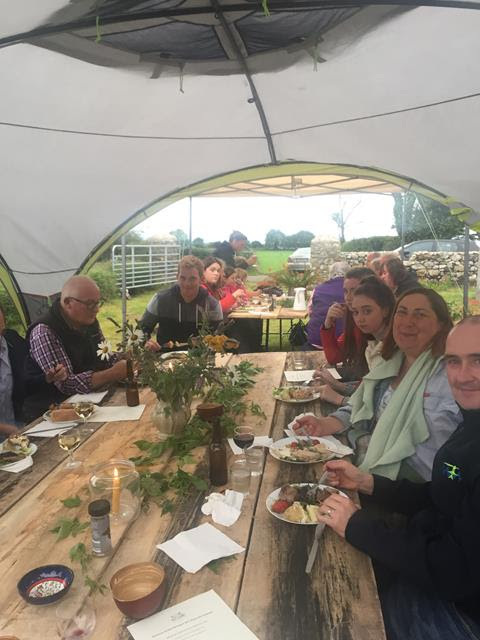 Summer Farm events - you are invited! 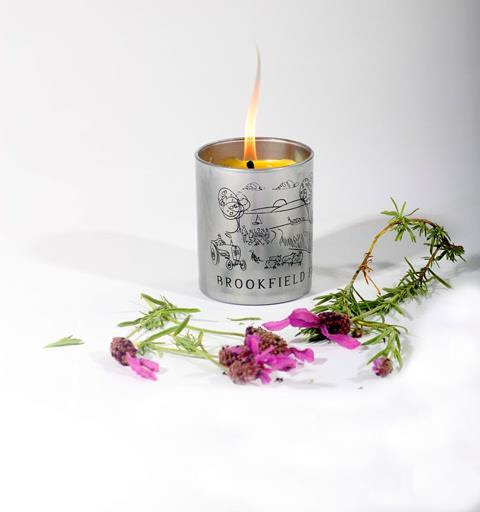 Where to find Brookfield Farm products? 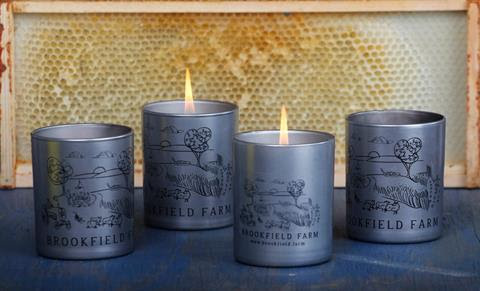 Where to find Brookfield Farm handmade beeswax candles, raw honey and beeswax cosmetics? 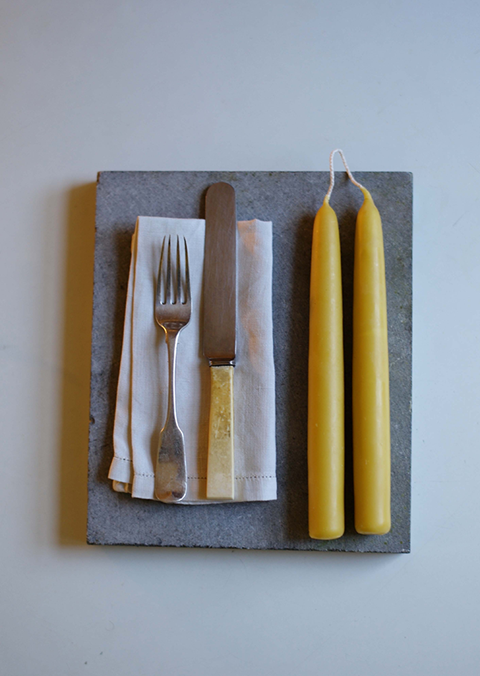 Cow's Lane Design Studio, Temple Bar, Dublin 2 - a design aficionado's paradise! Shannon Airport Duty Free in Co. Clare! 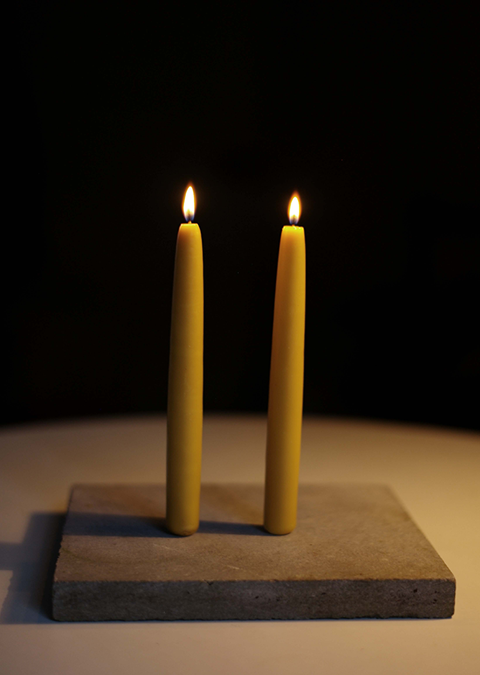 Treat yourself to our handmade beeswax candles, raw honey and beeswax cosmetics! You are very welcome to Brookfield Farm Hiveshare 2017. This is the third year for Hiveshare, already! 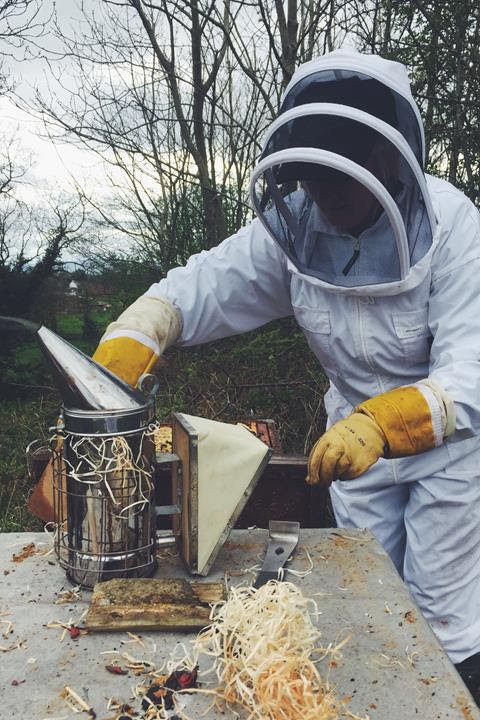 We are very pleased to have fulfilled all our Hiveshare honey deliveries for the first two years, in difficult circumstances for bees. 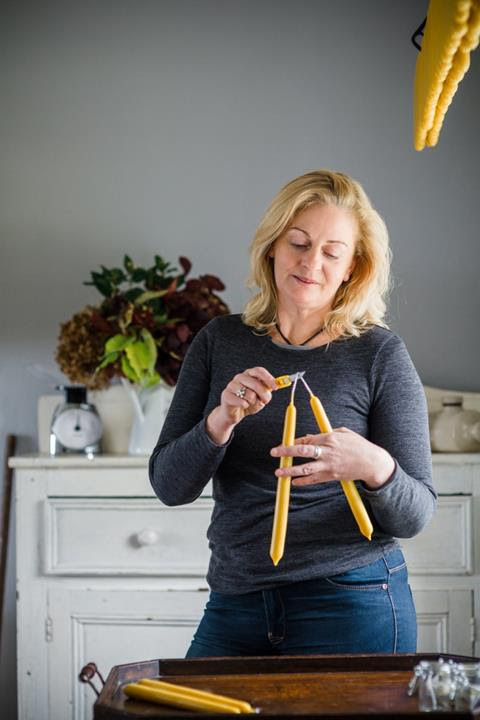 Some lovely media coverage recently featuring Brookfield Farm, this lovely video clip here, and a great article in Clover, the organic farming magazine. Also a feature in Jan/Feb 17 Image Interiors and Living Magazine and some nice mentions in The Irish Times. We are thrilled! 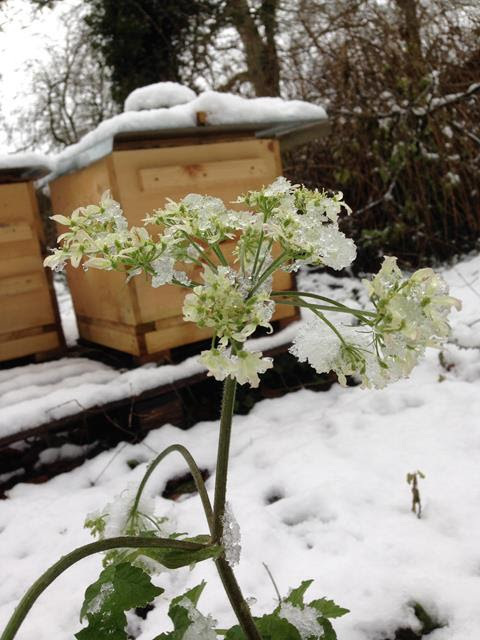 During the winter the bee cluster will slowly move around the hive and consume their stores. If the bees become disconnected from their food stores they may starve. 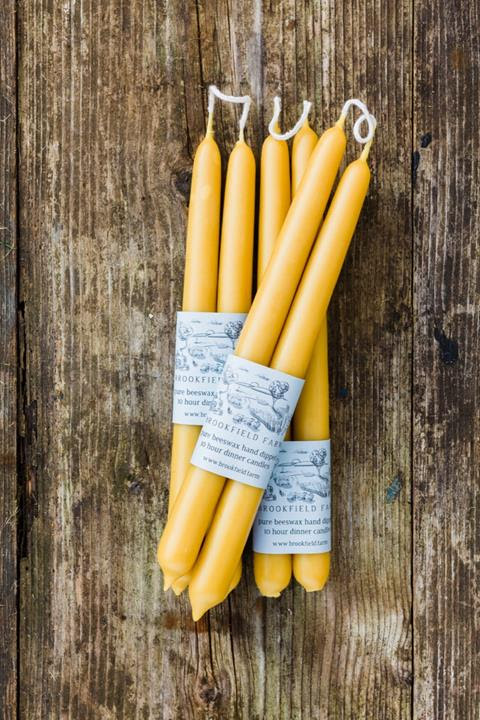 We hand make award winning delicious pure natural beeswax candles on Brookfield Farm too! Available on our website and at selected shops, including So Collective at Kildare Village and Cow's Lane Designer Studio, Temple Bar, Dublin. Newly arrived at YogaDublin too! 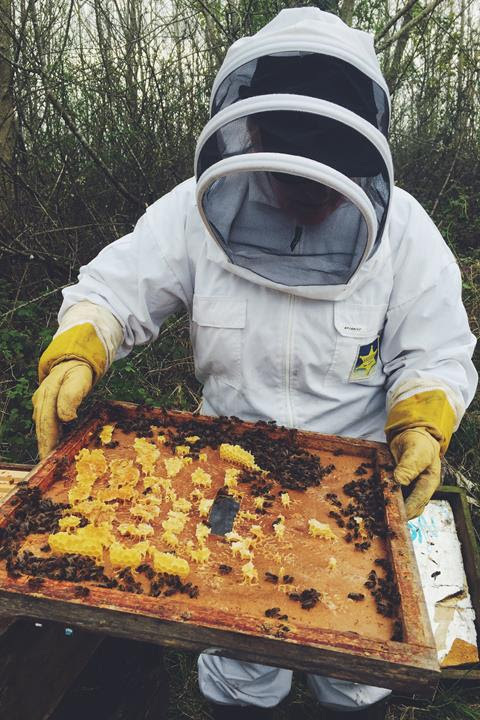 We are planning our (nearly) famous Honey Celebration for a weekend in August 2017 - it's a day on the farm, delicious honey themed food, farm walks, beekeeping and honey talks, and fun kids activities. What date in August suits you best? Let us know and we'll work around your preferences as much as possible! 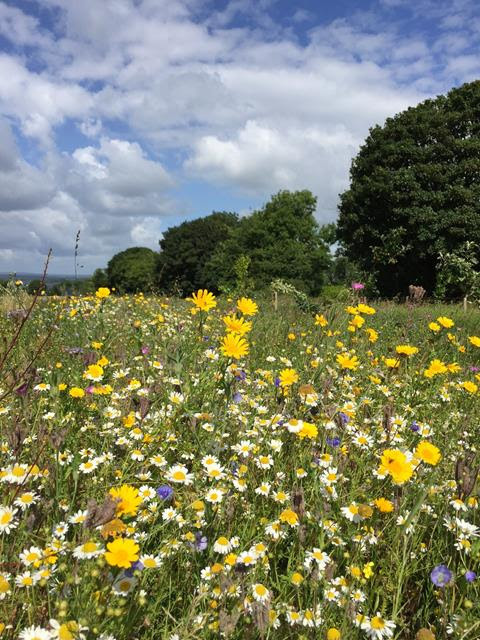 As part of GLAS environmental scheme, we sow more than 3.5 hectares (around 9 acres) of farmland to wildflower meadows and wild bird cover in the spring. 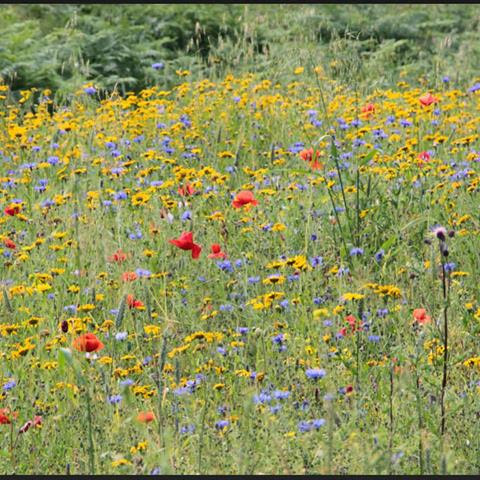 Good for biodiversity, beautiful flowers and great for our bees! 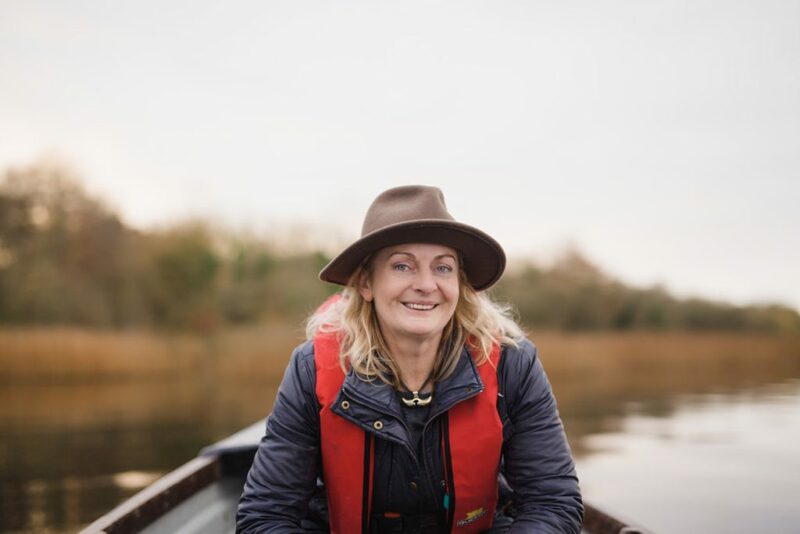 Ailbhe has been awarded a scholarship to Korea in April for an organic agriculture Masterclass. 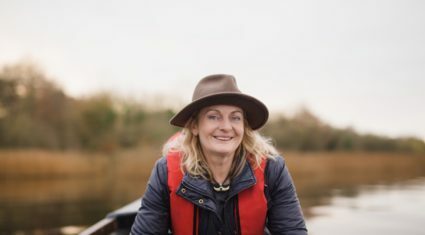 She is delighted! 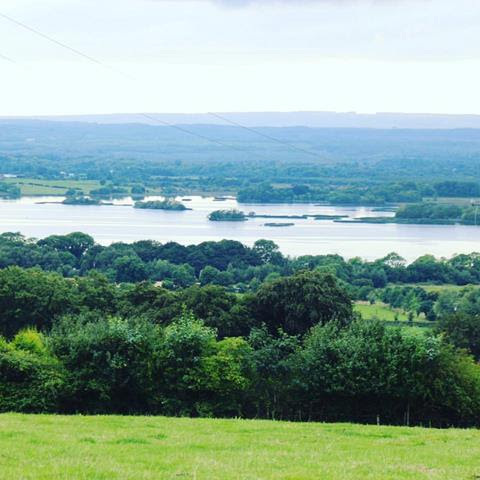 Organic grassland with lakeshore herbs is an important part of our farm. We know that grassland is important for biodiversity, wild hares and other animals love our meadows. Also the grassland grows wildflowers for our bees. And where there is grass, we have a small flock of store lambs. 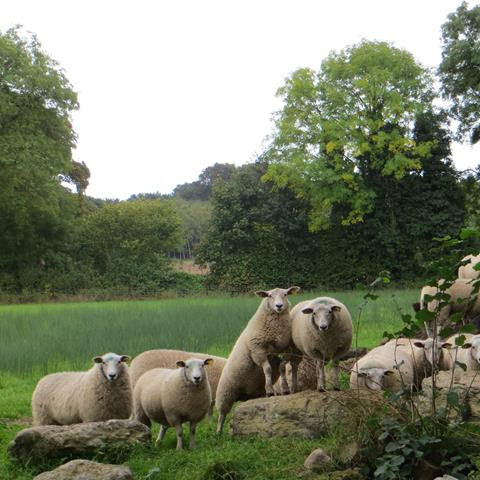 Our sheep have a wonderful life, gambolling on the meadows and playing 'king of the castle' on boulders. 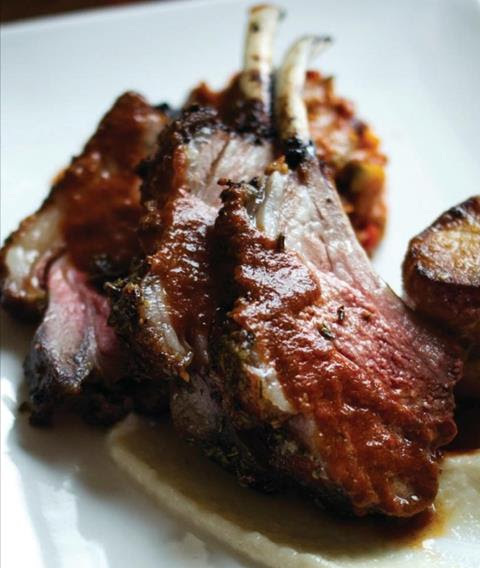 Our customers tell us that our lamb is absolutely delicious, a cut above supermarket meat. 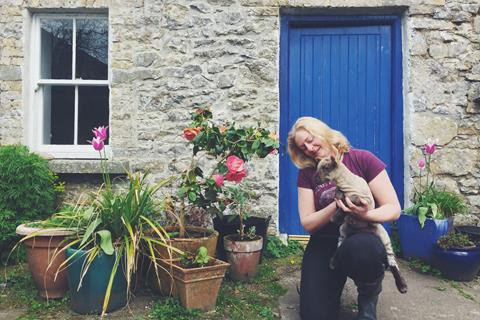 You can book a half or a whole delicious in conversion to organic lamb. 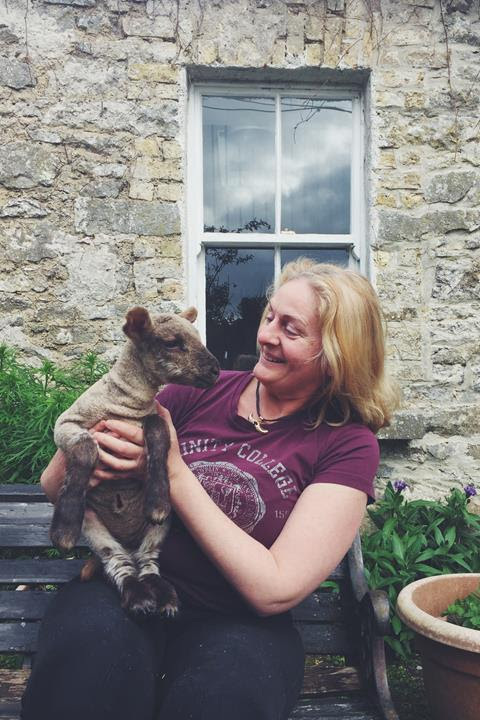 We regularly have lambs ready to go, delivered to your door. 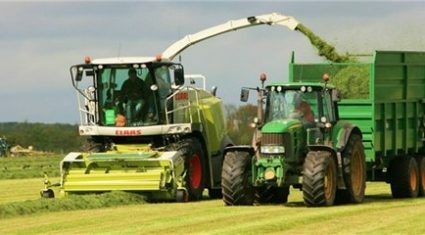 In fact, we have 3 that can be delivered next week - hurry and get your order in!